Now, we’ve kinda touched on the biblical story of the fallen angels which took wives (and apparently fornicated as well per Jude) of human females and had hybrid children by them that were giants. We’ve also touched on the book of Enoch’s story a bit in which the fallen angels lusted after human women, made a pact together at Mt. Hermon -to defy God’s order and go into this thing together by taking what they wanted and marrying the women. They did this because of lust, but also, no doubt because of the allure of being seen as independent of God and indeed being thought of as gods themselves. Ancient stories of Greek and Roman gods no doubt do have their genesis in some of the strange goings on during the days of Noah when the ‘gods’ mated with human females and begat ‘demi-gods’ who were almost supernatural in their power and strength. This seems to be a common theme with satanically inspired temptations. You shall be as gods. Whether it is the angels that fell (who did no doubt experience the feeling of being reverenced as god-like) or Eve, or the New Ager, or the Hindu, or the Mormon – the idea of obtaining godhood and being independent from the true God is not new. Funny how Satan’s tool-chest doesn’t change a lot. But, why should it? Humanity never seems to get it. A funny thing happened while I was writing this blog post. I took a break and went to my local B&N Bookseller to look specifically for maps to chart some of the things that are to come when I ran smack dab into a display by the children’s section of Rick Riordan’s Olympians Series. I had never heard of them, but apparently they are quite popular and are published by Disney. I took the above photo and purchased two titles that caught my eye. 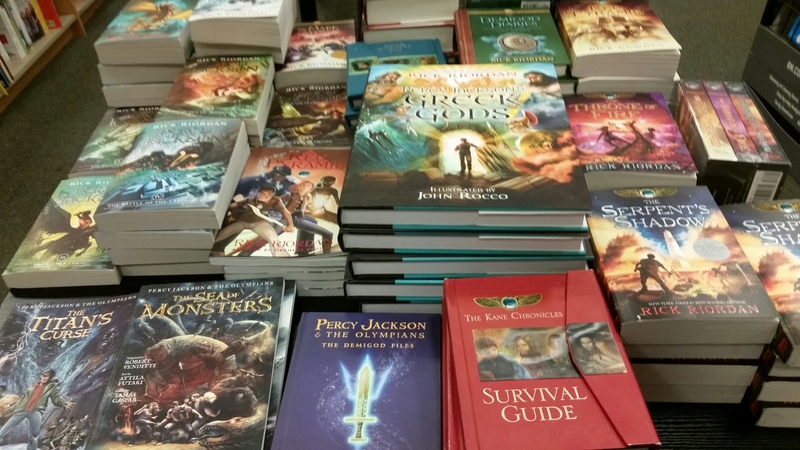 Percy Jackson and the Olympians: The Ultimate Guide and The Demi-god Diaries were clearly in line with what we are discussing and I wanted to see what the Disney-Hyperion Publications had to say. The books are richly illustrated and creative introductions into greek mythology with a modern spin. Characters in the books are placed into modern settings along with child-heroes who appear human but ultimately find that they are demi-gods themselves. The Ultimate Guide includes sections in “Ten Signs that You May Be A Half-blood” and “Gods and Spirits” and even takes children on a guided tour of the underworld – included Tartarus , the place in the book of Enoch where the angels who fell were cast. I find it all fascinating and will be reading more on the subject so stay tuned. On another note, when we look at Mt. Hermon we find that its name means ‘the sanctuary’ and that it comes from the root חָרַם which denotes being devoted to destruction. It is also known as ‘the mountain of the oath.’ The angels that sinned meeting here to come up with their plot ties in nicely when you realize that the base of Mt. Hermon was an area in which Baal worship figured prominently and also associated with the goat-man god Pan who was associated with eroticism and the wild. It has also been suggested that Mt. Hermon is the Mt. of Transfiguration instead of the traditional Tabor due to its proximity to Caesarea Philippi. About 35 miles south of Hermon (as the crow flies) is an area called Gilgal Refaim or “the wheel of the Rephaim”. At this site, a megalithic structure stands that looks all too familiar among the archaeological sites of the world. Just take a look at the structure. Looks sorta like some of the images at this link, doesn’t it? Hmmmmm…. Who did this? 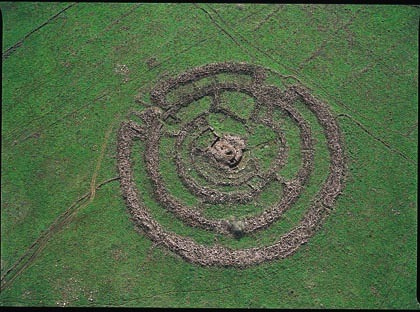 While some of the objects are likely imitations of what went before (particularly when the circle is made up of stones that are easily moved by man), other stone circles (and megalithic structures such as Dolmens and even pyramids) are objects of speculation in terms of who made them and how they were made. Many of the stones are larger than modern machinery typically handles. 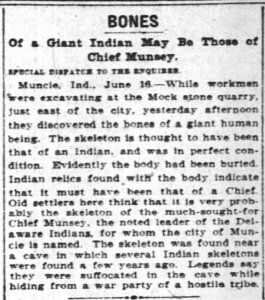 And yet, we are to believe that primitive man somehow figured out how to move massive stones from quarrys miles away to set up stone circles similar to those continents away – just because???? 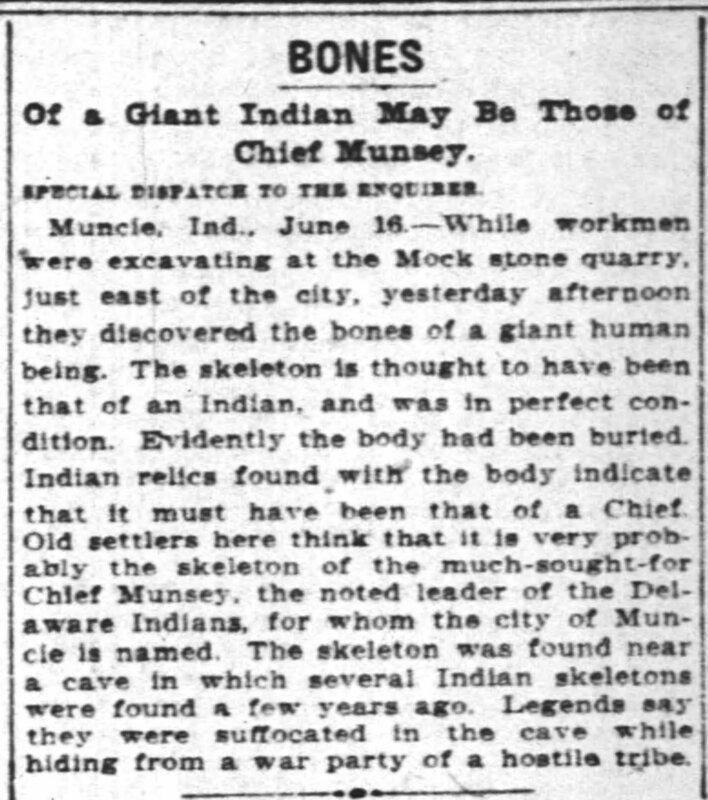 Well, maybe not just because – but the theories concerning the whys of some megalithic structures vary from being astronomical guide points, to places of ancestor worship (Stonehenge is a famous occult worship site even today) to places of healing (due to the presence of stone called spotted dolerite). 12th century historian Geoffrey of Monmouth even had his own theory involving the dolerite stone. 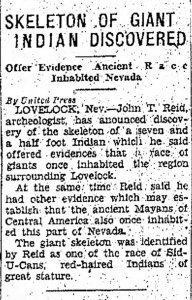 He concurred that the stones were for healing and were brought to Stonehenge from Ireland (where modern scholarship says they originated); but, prior to that, he said they were a product of Africa. How would they get from Africa to Ireland you ask? 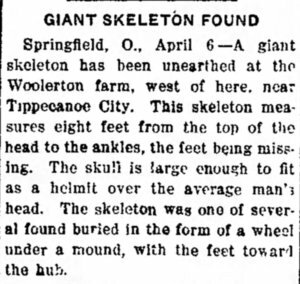 Well, according to Geoffrey, giants carried them there. 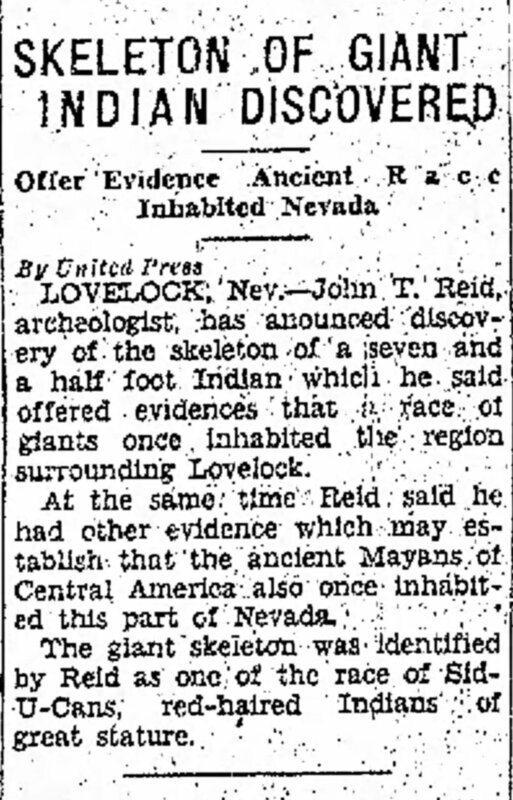 Could it believe there is a connection between structures such as stonehenge and the megalithic circles, Mayan, Incan, and Egyptian architecture and pyramids, and the Nephilim? 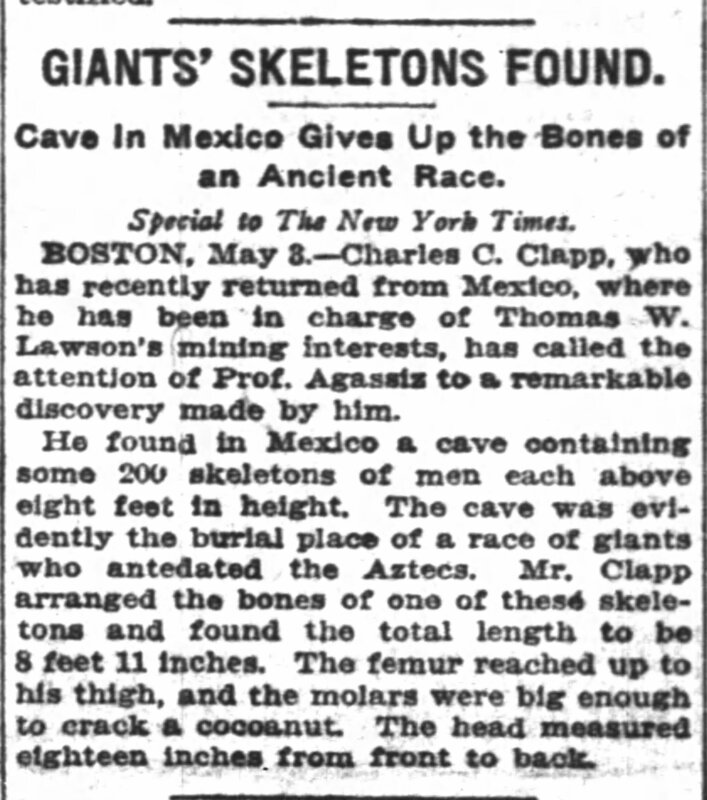 I believe there is – though much of the evidence is suppressed. Tin foil hat time? No. Truth. Now, this supression has occurred a few ways. 1) Disbelief. Modern theological minds have bought into the Sethite theory from the early medieval Catholic authorities and earlier church fathers and scholars views have been largely ignored. 2)Fakery – there is plenty of evidence, and like evidence for UFO phenomenon – the majority that you see today is fake. 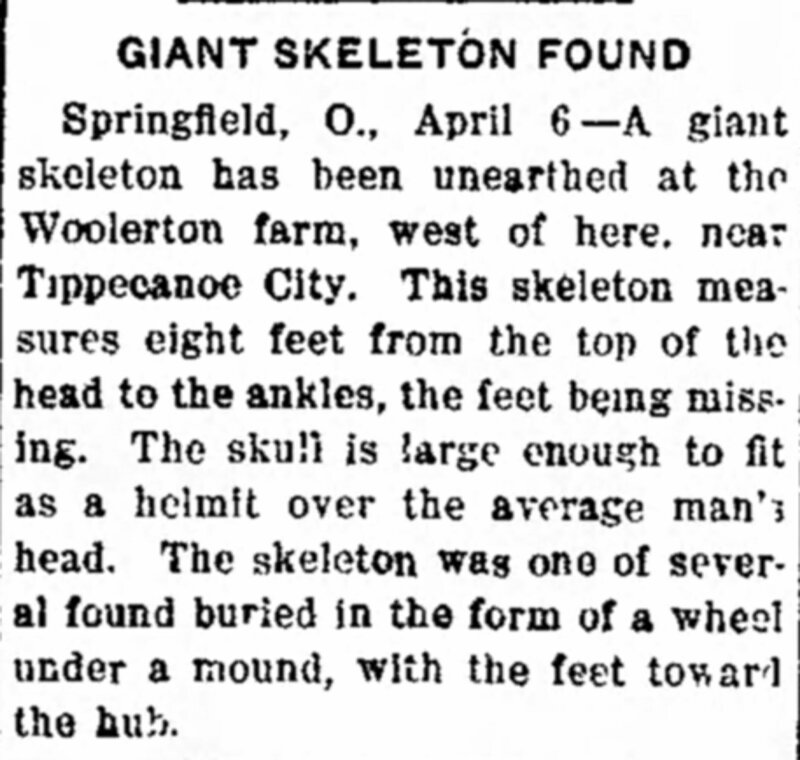 (Don’t fall for the email with the 40 foot tall skeleton. It’s very likely to be a photoshop) 3)Evidence disappearing. There appears to be a tendency for these type things when they are found to suddenly get lost or hidden in the vaults of various institutions and museums. How do I know? 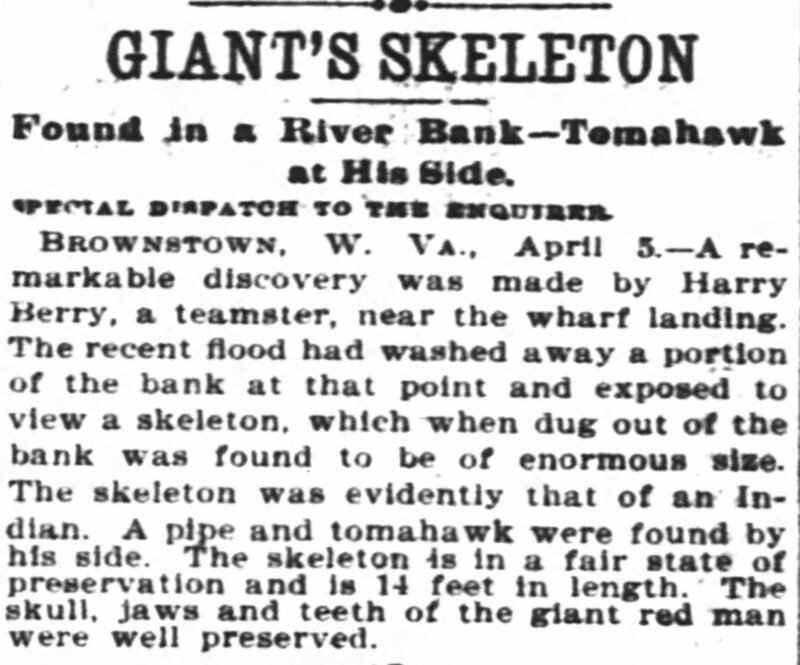 Well, in just doing a small amount of research using Newspapers.com, I found a plethora of articles from the 1800s where people discovered the skeletons of real giants throughout the world. Below is a sampling. 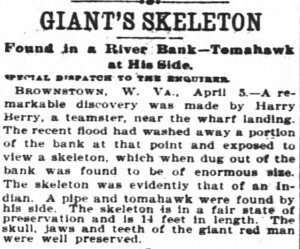 Certainly, there have been giants in the land from ancient times and certainly those of us in modern days rarely, if ever, year about them. When people talk about beings such as Nephilim they are called fringe groups and otherwise discounted. 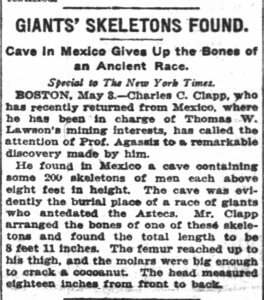 But if even a 10th of the thousands of articles from old newspapers is true, it is quite true that men have discovered giant remains all over the world and those remains have been hidden. 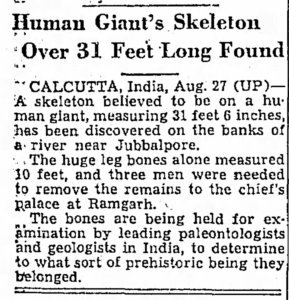 Were these remains the descendants of the biblical giants? Again, to that I would have to say I believe many were. 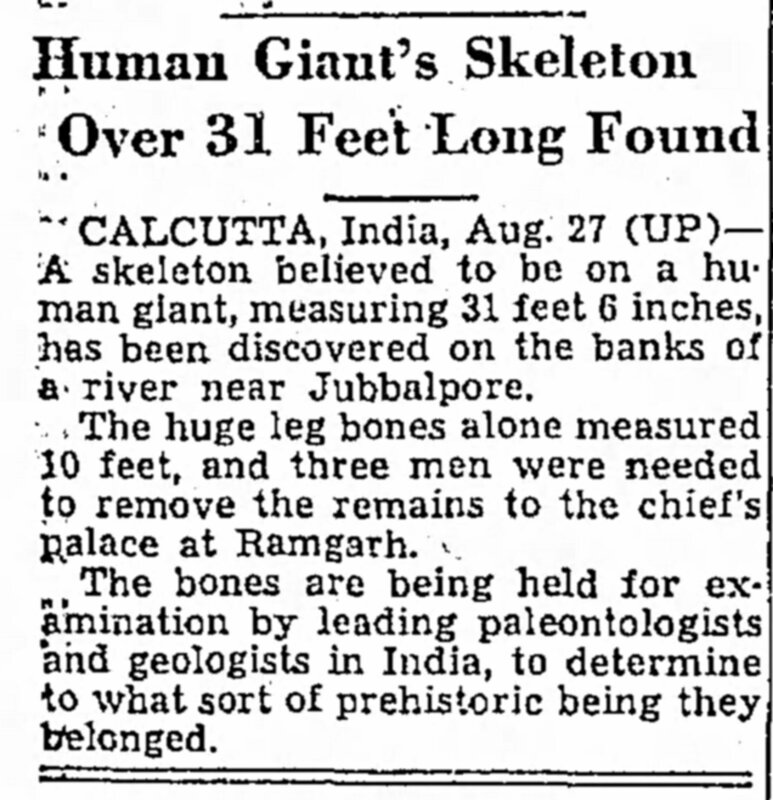 Are their giants (other than those with glandular issues) around today of the same sort as back then? To that I would answer yes, and no. For a full explanation, stay tuned to this blog.